The SVDP - St. John the Apostle conference will strive to do its best to accomplish the following Christian virtues through the generosity of St. John the Apostle and St. Elizabeth Ann Seton parishioners who contribute in a variety of ways. Our conference meets twice a month, the second and fourth Monday at 6:00 PM at St. John the Apostle Formation Center. In these meetings we discuss ways and means to help our unfortunate brothers meet their current need. We make home visits for that person to person contact to offer some help, some advice that enlightens, a handshake to show them that they are not alone, and prayers to lift up their flagging courage. We have 13 active members , serving six (6) cities (North Richland Hills, Haltom, Hurst, Keller, Watauga, Richland Hills) comprising of ten (9) area zip codes If you need assistance such as rent, utility bills, food, gasoline or medicines, please call 817-595-6520. Leave us a message and someone will call you. 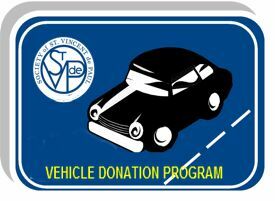 If you are interested in joining SVDP and believe in our Vision that in the spirit of friendship and charity we will provide compassionate service, on a person-to-person basis by seeing God's presence in those we serve, then please call (817)595-6520, leave a message that you would like to join the society or send us an EMAIL at svdpnrh@gmail.com.